WAFB has a wide range of programs and projects designed to meet the diverse needs of West Alabama. Did you know that all Crimson Tide home games have a “Fifth Quarter”? 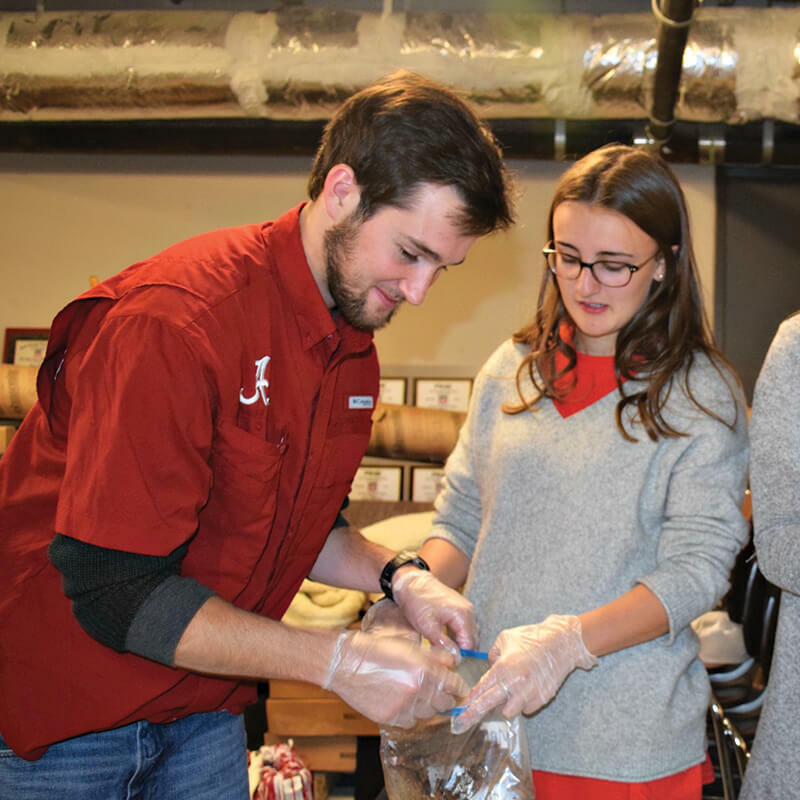 During the closing minutes of all home games, volunteers from the University of Alabama’s Phi Gamma Delta and Alpha Gamma Delta fraternities, along with trained food bank personnel, salvage food prepared for fans in the north zone, south zone and sky boxes. The vendors, who prepare food for these areas donate all items which were not offered for service during the game. The food is immediately repackaged in vacuumed sealed containers and delivered to the food bank. 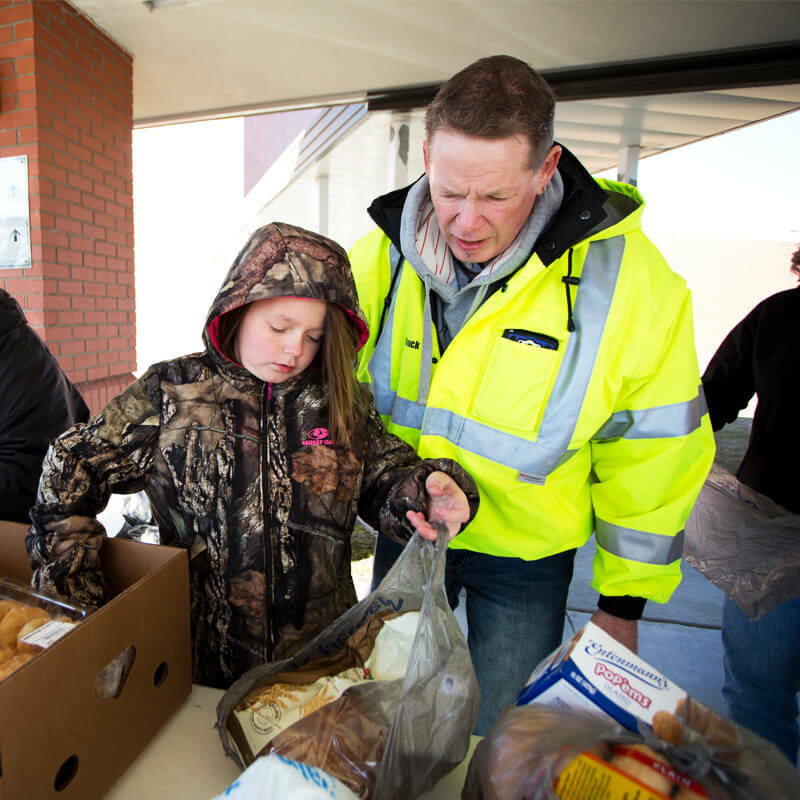 The food is then offered to the food bank’s agencies for delivery to those in need. In November there is another competition between the University of Alabama and Auburn University besides the 60-minute fight on the football field. Since 1994, the students at both schools participate in a fight of their own – a food fight. 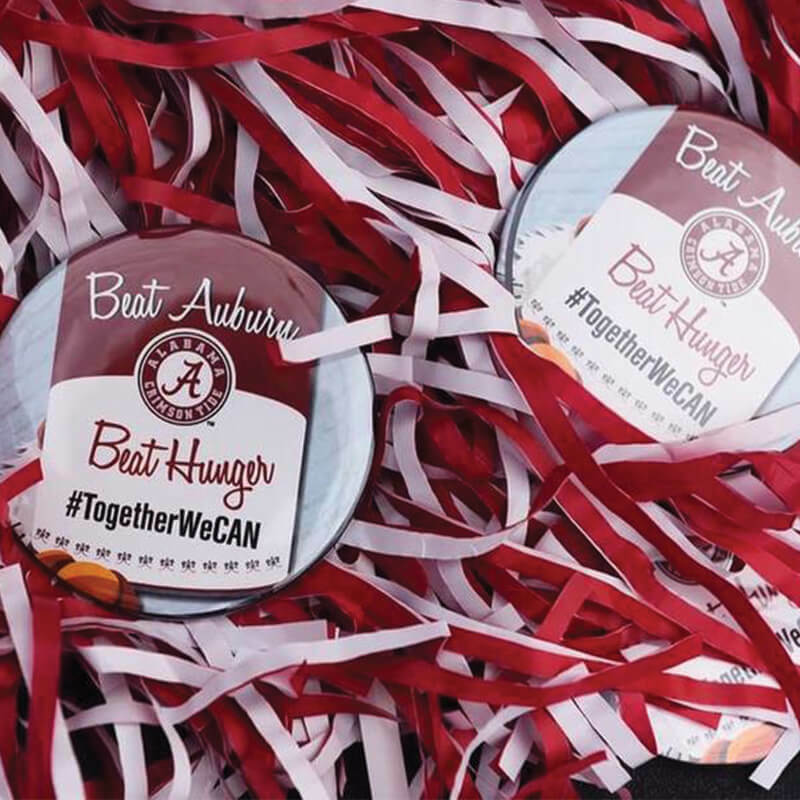 Students work all month to collect canned goods in a campaign those in Tuscaloosa call “Beat Auburn; Beat Hunger.” In 2016 alone, the competition collected a total of 396,044 pounds of food. 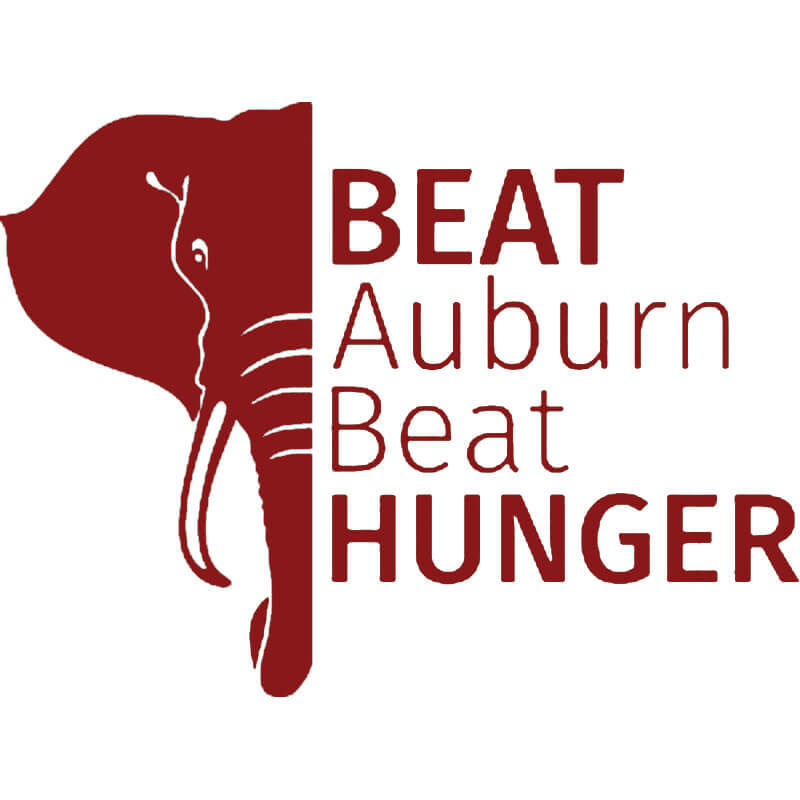 The West Alabama Food Bank receives the food collected by the University of Alabama, and uses it to help feed those in need during the Thanksgiving and Christmas seasons. During the competition, there have been many events to help raise awareness and collect goods including a 5k run, a Stamp Out Hunger letter writing event, a tailgate football game and much more. The Brown Box is a supplemental grocery program for eligible individuals age 65 and older who live in Bibb, Fayette, Greene, Hale, Lamar, Marion, Pickens, Sumter and Tuscaloosa counties. 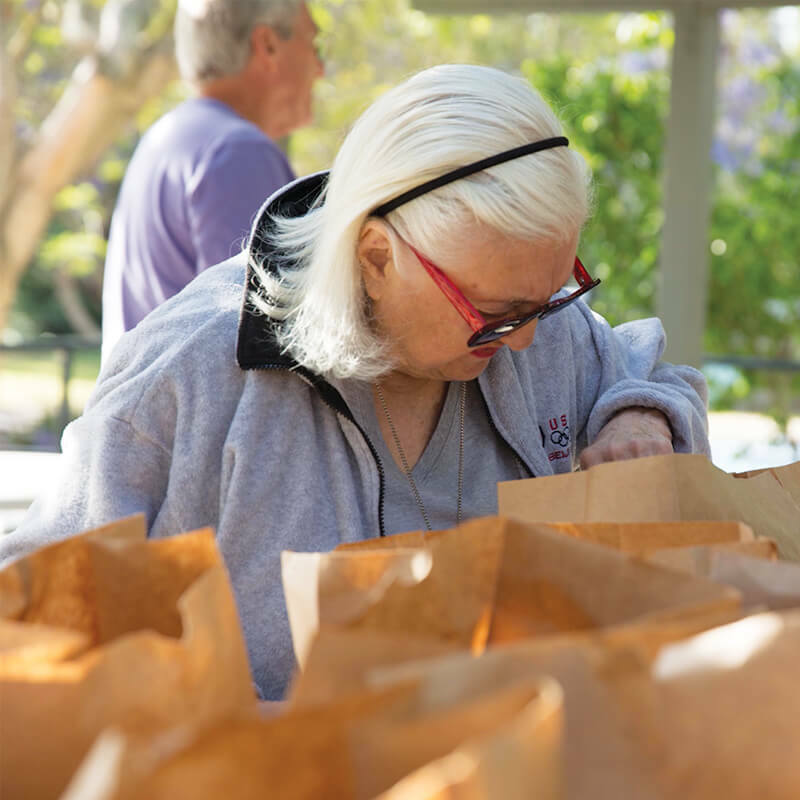 Each month seniors are provided a box of groceries during the third week of the month – the time when most budgets are depleted. The Boxes are delivered by volunteer groups. There is no cost to the individuals served and eligibility is determined by using the federal income guidelines for poverty. 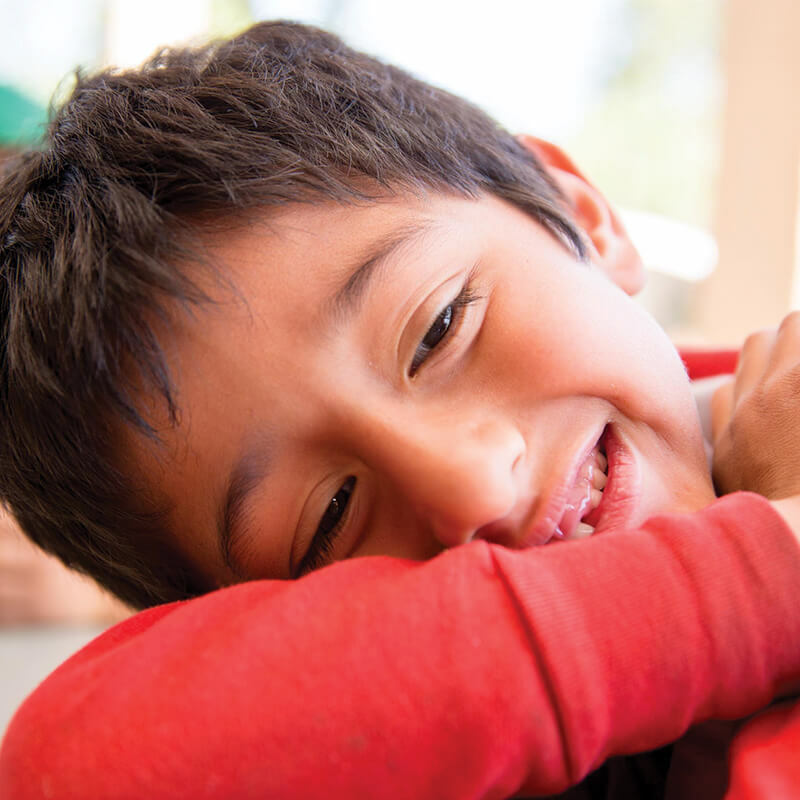 The Brown Box program is designed to help those whose main source of income is Social Security, and who normally have to choose between nutritious foods and crucial medications. Many children in Alabama rely heavily on free and reduced breakfasts and lunches five days a week. However, the weekend creates a nutritional gap leaving many children hungry when they return to school on Monday. 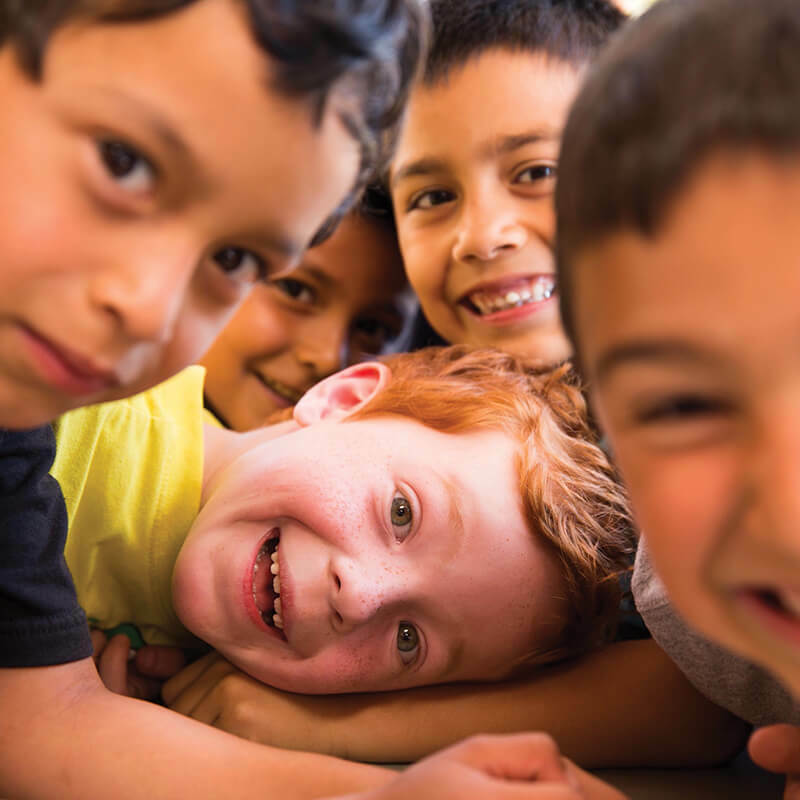 The BackPack/Secret Meals Program helps bridge the gap. Teachers discretely place the bags of food into the children’s back packs, so they have nutritious meals over the weekend. Currently WAFB packs 1,800 meals per week to support schools in four counties. 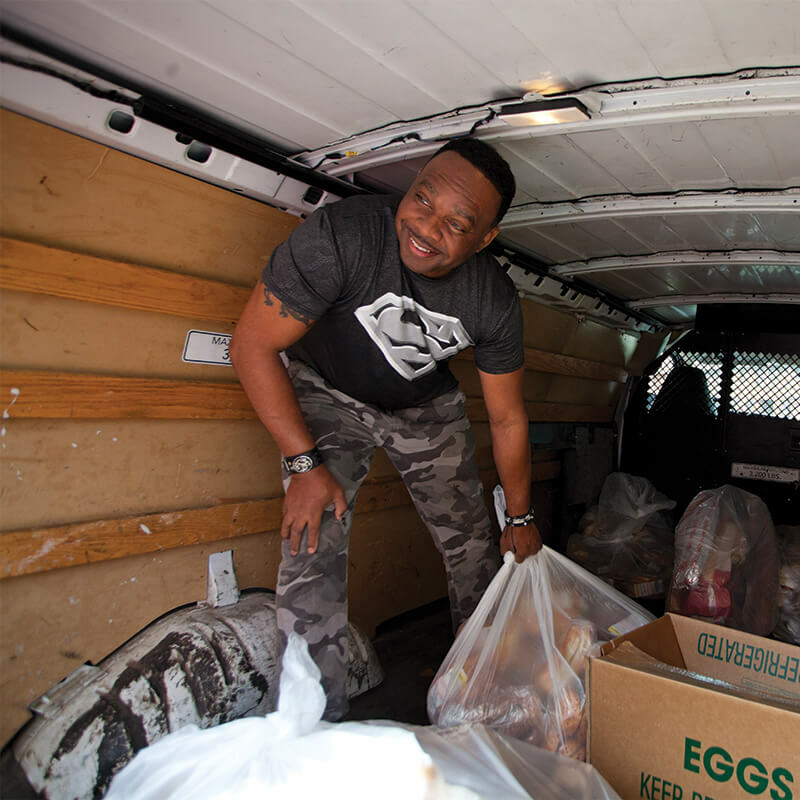 Mobile Pantry is designed to distribute a truckload of nutritious items directly to the needy residents in a neighborhood chosen by the sponsoring agency. 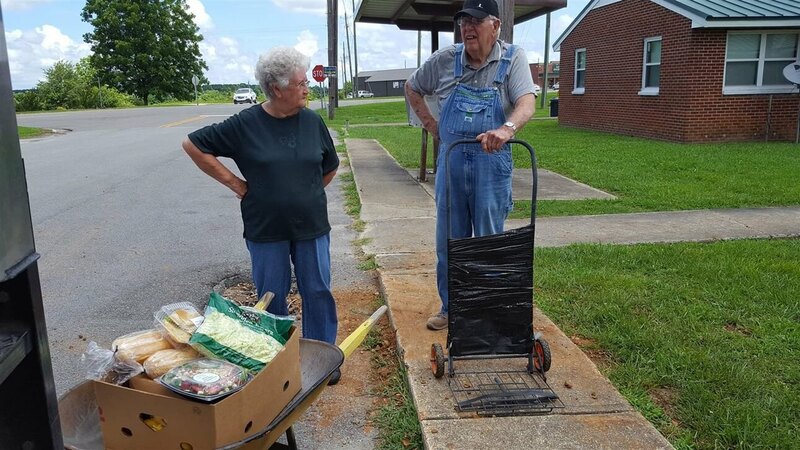 Mobile Pantry facilitates outreach to underserved areas, especially distant, impoverished, rural locations, which are often described as a food desert. A food desert is an area where no grocery stores are located within 25 miles of a person’s home. The sponsoring agency prequalifies the family, and the family comes and gets needed groceries. 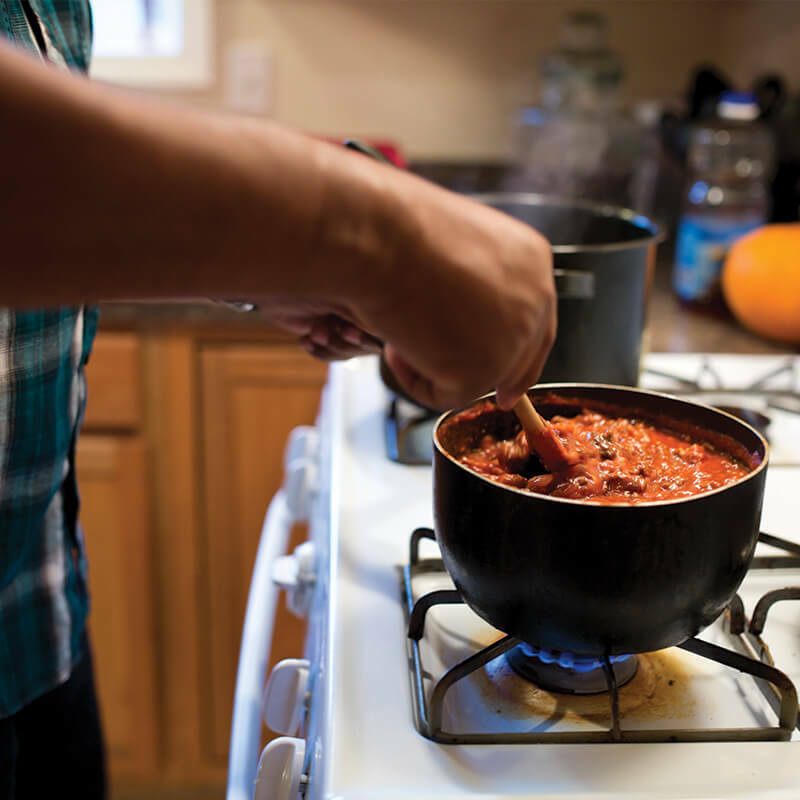 Many families have limited access to food and limited funds. This program comes directly to their neighborhood. 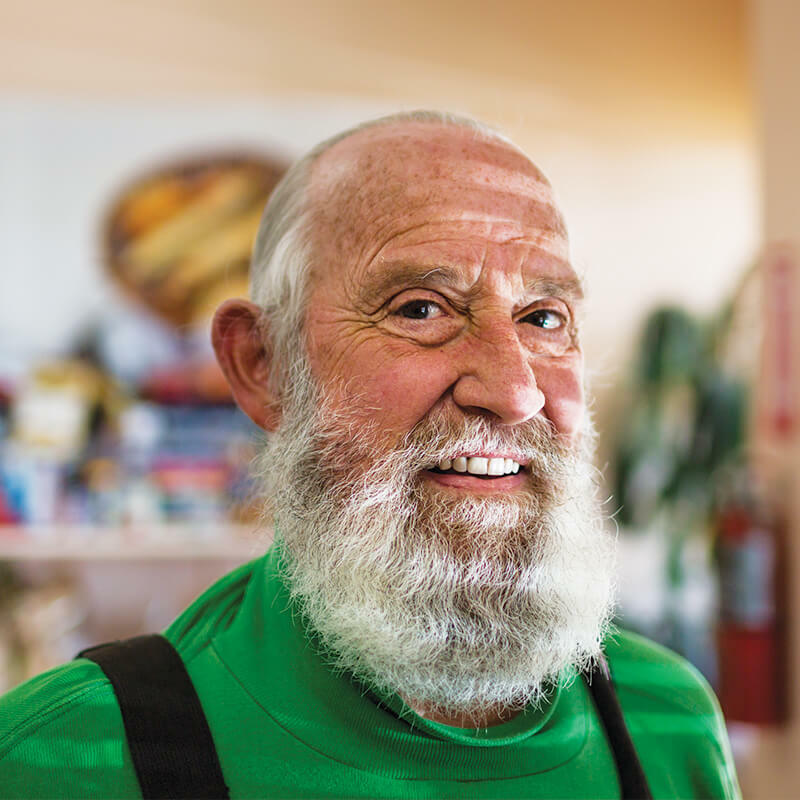 Food is taken into low income housing and senior neighborhoods each week and distributed. Much of this food is donated by local stores and partners, bringing healthy options to families.